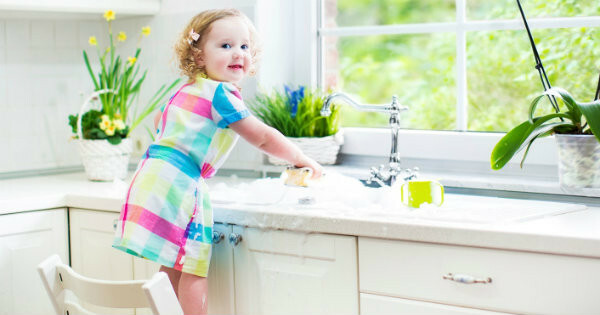 When should children help with household chores? Kids and a clean house don’t generally go hand-in-hand. But when should they start helping to keep it neat and tidy? An interesting new study has found just one-quarter of parents ask their children to help with housework, even though 82 per cent of them regularly did chores such as cleaning, cooking, washing and dishes when they were children. The study, commissioned by Whirlpool, finds 75 per cent of parents believe regular chores make children more responsible, and 63 per cent say they teach “life lessons”. So why aren’t parents asking their own kids to help? Are they more inclined to just let their children play? Or perhaps we’re so time-poor that it’s just quicker and easier to do it ourselves? US parenting coach Sharon Silver tells Yahoo Parenting it’s most likely the former, with many families believing that “young kids should just play because there will be plenty of time for chores when they get older.” But Montessori schoolteacher Shannan Welsh tells the site that parents’ busy lives may also come into it. “Parents who work all day and don’t get to see their children until 6pm may not want to feel like they’re making their child do chores,” she says. This Montessori chart (above) did the rounds on social media last year, showing which household jobs are recommended for which age groups. She says even pre-schoolers can help out in a meaningful way, but parents should be realistic and know they’ll need to spend time teaching their children how to perform tasks. Ms Welsh recommends starting with one or two new jobs at a time. I must admit that it hasn’t really occurred to me to get my children, aged four and two, too involved in housework (other than minor tasks such as helping put clothes into the washing machine). And yet the first time I did kinder duty I was really pleasantly surprised by how eager the kids were to participate at pack-up time – and how good they were at it. Perhaps it’s time to take the time to get the kids to help out. 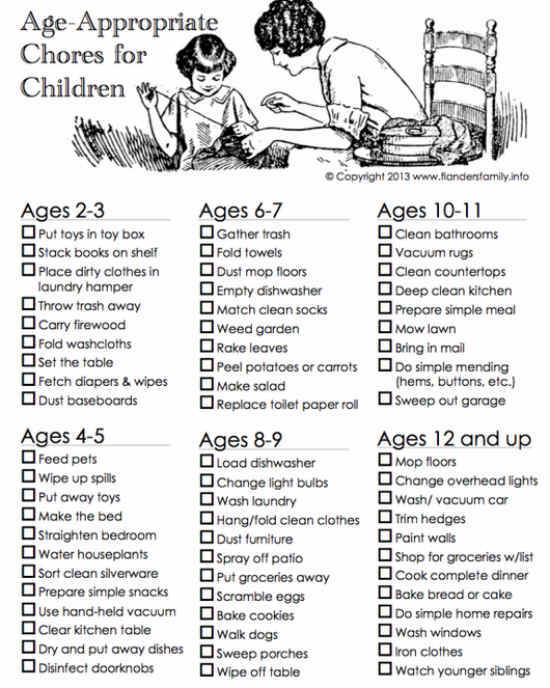 How about you – do your kids do chores? When did they start?